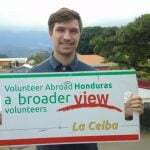 Volunteer Honduras: We stayed with the ABV coordinator in La Ceiba, and it was truly a wonderful accommodation. We were not expecting much, but Rafael’s home and his large extended family were nothing but kind to us for the month long stay. He was fantastic. He provided us with everything we could have needed and more, and supported us through the entire month long process. The difference in medical care practices i.e. Less of a focus on sterility for patients and providers, and less ‘PFA’ or compassionate communication with the patients from the healthcare providers. Both are things that are heavily stressed in the US health care system, and we have developed habits in our work at home that were harder to achieve while here (such as wearing gloves and using sterile techniques). Honestly, I was expecting somewhat of a systemless form of healthcare, but La Ceiba does have a system, it is just very different from what we are used to in the United States. The most surprising thing about the accommodations was that they were much complete than had been expected. We set our expectations to be packed into a bedroom with maybe a shared bathroom, but the house we stayed at (Rafael’s home) was more than enough for us during the four week stay. Rafael has a very large extended family that was very good to us and helped us with everything from cooking to getting to know the city. We traveled from the U.S., and the expectations we had about Honduras were from our “state department sites” and word of mouth from other friends and family. 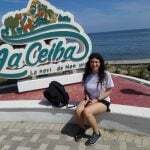 When we arrived and got to know the country, or at least the city of La Ceiba, we realized how different the country and the people here are from the way they are depicted by our country. I was most surprised, very happily, by the welcoming nature and generosity that was displayed by the citizens of La Ceiba. Our first week here we helped the Secretary of Health with a vaccination campaign that required us to go door to door in the outlying neighborhoods of the city to ensure that all at risk populations were vaccinated. During this process we truly saw the incredibly kind and genuinely thankful aspect of the Honduran people. While some people have a somewhat negative perception of western, specifically U.S. culture, the majority of people just want to offer you a bottle of soda. From a medical standpoint, there is obviously a huge lack of funding, supplies, training, and manpower that inhibits the ability for the medical system in place here to function at an adequate capacity. Witnessing the unavoidable decrease in the quality of care due to these things was very difficult. For just one example, the ‘Hospital Viejo’ – the public hospital in the center of La Ceiba – truly has no money or supplies. Because of this, patients who come to the hospital for treatments of their infections or removal of their stitches are often required to bring their own medical supplies for the doctors and nurses to provide care. Antibiotic cream as well is only available if the patient can afford it and bring it with them for application by medical professionals. It was definitely hard to be unable to provide the care that we are accustomed to, but the knowledge that our being there could improve the quality of care, both by bringing donations and fresh hands, was enough to balance the difficulty. The accommodations were truly very comfortable and enjoyable. The most difficult thing, which is consistent with everywhere in Honduras and not only the homestay, was the heat. Our trip was four weeks in length, and by the end of the second week we felt as though we had acclimated and found ways to avoid being overcome by the heat, but anyone planning a trip should prepare to be very hot when in the home. Luckily, there are many fans and a gentle breeze goes a very long way to cool down the body. La Ceiba is absolutely beautiful, but the standards of cleanliness in terms of water quality and food sources (out of our host family) are not the same as in many other more developed countries. All five of us were the patients at one point or another during the trip when a quick bug crippled our ranks temporarily (after doing a tour on a weekend). The officials in the city have, in the time that we’ve been here, determined that there was some kind of big – a virus or bacteria – that spread across much of the city, affecting not only us volunteers but also the local Honduran people. It was very difficult to deal with the symptoms of this 20 hour bug, so come prepared with a refillable water bottle, and some diarrhea, nausea/vomiting drugs, maybe antibiotics and a multivitamin just in case. Lots of socks and underwear/other things that you don’t feel comfortable wearing more than once. If you’re staying for more than a week then you’ll probably need to do laundry, which is done by hand or at a next-day dry cleaner down the road. In the home, it’s acceptable to wear whatever is comfortable. Tank tops and shorts were what I wore around the house to avoid the heat and sweating through everything. Because it is HOT here, sweating is very common and acceptable, so after a week we got used to not caring about how soaked our shirts/scrubs were. Footwear: Sneakers, sandals (flip flops are good but I brought sandals with secure straps and didn’t regret it), and another pair of comfortable shoes. Sterile gauze (all kinds but rolls of gauze are great), soap, ALCHOL for cleaning instruments (Alcohol swabs for injections too), liquid Iodine, blood pressure cuffs/stethoscopes, GLOVES for nurses to wear when doing IVs/ exams, toothbrushes/toothpaste. Medications: Aspirin, Tylenol, ibuprofen. Bug Spray: DEET is not the healthiest thing for humans, but it definitely keeps the bugs away. Some pure DEET spray (99%) is great to spray on a backpack or clothing if you go anywhere on the weekends, but don’t go over 30% DEET on your skin. Other, natural forms of bug repellant is a good idea too. 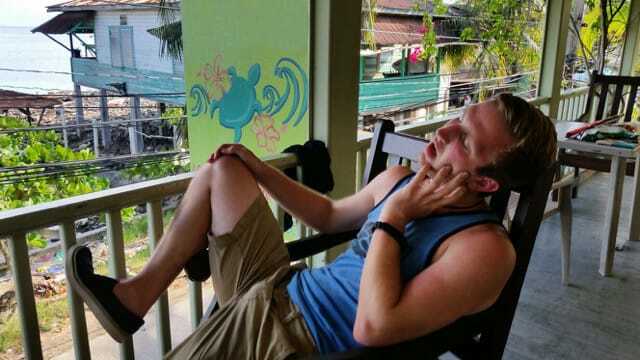 Sun Screen: The sun here is different, and its strong, so bring some heavy duty sunscreen to protect yourself. Temperatures are regularly in the 90s and super humid, so dress accordingly. 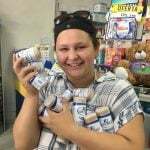 La Ceiba is a very developed city, and there are a couple of great stores where you can buy anything that you might forget in the states, or that you don’t want to pack in your luggage. a.- Honduran people in La Ceiba are great, kind, and welcoming. b.- Safety should be a concern in the same way that it should be a concern in any major city of any country. c.- Unless you’re central american of some kind, you will not blend in and everyone will notice your presence, but this does not mean you’re unsafe. d.- Honduras is Hot! Prepare for the heat and the humidity. 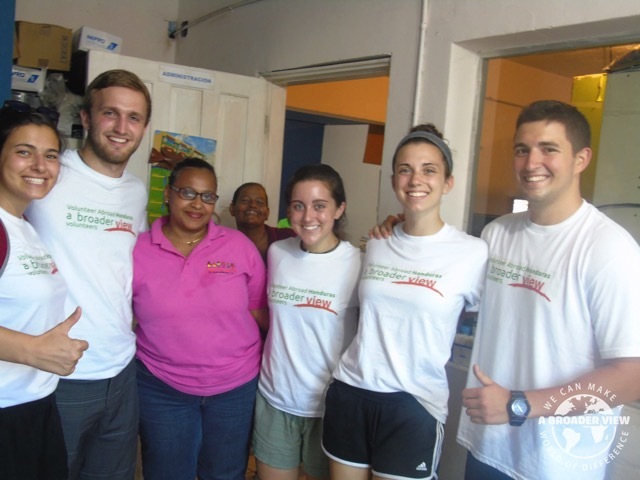 We stayed with the ABV coordinator in La Ceiba, and it was truly a wonderful accommodation. We were not expecting much, but Rafael’s home and his large extended family were nothing but kind to us for the month long stay. There were five of us traveling and working together for the four weeks, and we were split among three rooms and three bathrooms. The terrace on the second floor has an incredible view and breeze that allows for somewhat of a cool down. All meals were provided for us three times a day, 7 days a week and Honduran food is very good (Baleada mondays every week in Rafael’s house were always the best). Rafael made sure that we were safe, and that we got as much out of this experience as we were able to give to the Honduran people of La Ceiba. I will forever have a more enlightened view of the world and global healthcare due to the experiences I have attained on this trip. I would suggest staying in country as long as you possibly can, because it takes a short while to acclimate socially and get used to the way things work down here. By week two, we had made great relationships with the doctors and nurses that continued to be strengthened over the following two weeks. The ABV program provided us with everything that we needed and more, and when we come back in the future we will be working with ABV again. The family and food were great. 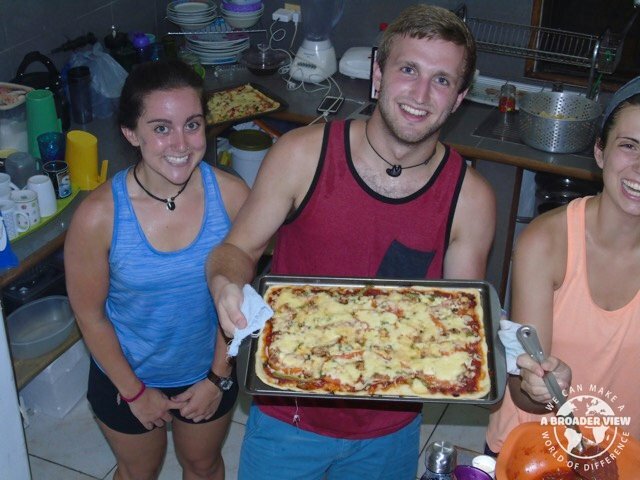 We got to learn how to make some traditional Honduran food, and we were never hungry here. In terms of security, we were apprehensive because of what we had heard about the country itself, but we very rarely felt uncomfortable in public situations, and never felt as though we were in any danger. That being said, we made it a point to keep a low profile and not attract too much negative attention to ourselves when in public. Overall, respectful foreigners will be safe in La Ceiba. Program: Working with the children in the Hospital was incredible. Being able to communicate with the patients by the end of the four weeks and make their days a bit better was so rewarding. Because of the limited medical providers and overworked nurses and doctors, patient affect is something that often is not a focus, so a smile and a compassionate “Como esta?” can go a long way and make a patients day a bit better. Country: We took a weekend trip to a river that flows through Pico Bonito National Park and hiked up to a few waterfalls. The trip ended with rock jumping and some food at a small, family run hostel along the river. This afternoon was a great break from the busy weeks in the hospitals. The ABV staff was a huge help before our trip. The information that we had available to us was sufficient for planning the trip and we did not feel as though we were underprepared in any way for the work we were doing here. ABV was prompt and informative in answering any questions we had whether via email or phone calls. When returning to do more service in Honduras or abroad in other countries I will be contacting ABV to organize. The Website was a great source for information and for organizing all of the trip information in one place. Yes, I’d love to talk and share anything with anyone. 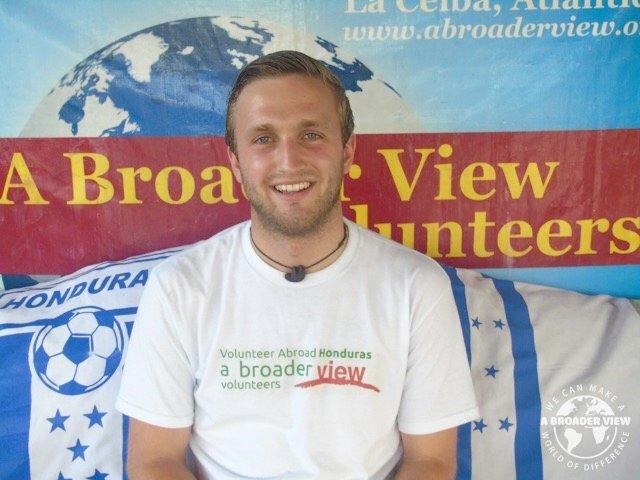 We were looking for a volunteering abroad experience and found the ABV program online. 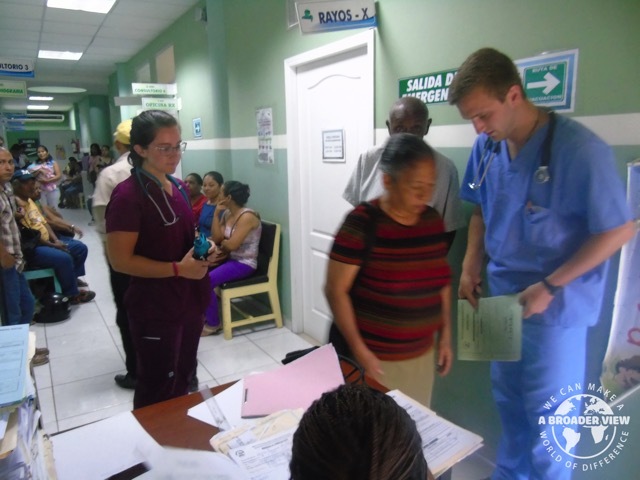 We chose the program because we felt as though we could use our training in the healthcare system here in La Ceiba.